Tall Tales: The bees. They're bearding. You'll notice that Ramona is a bit taller than Beezus. 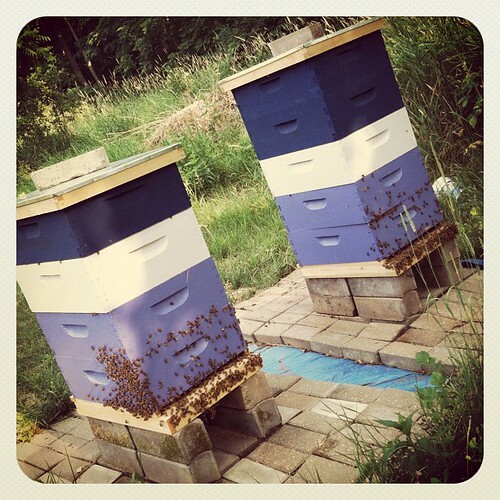 During our last inspection, Beezus' first honey super was near empty, while Ramona's was almost full. We don't really know why, but we've noticed that Beezus seems to have fewer bees than Ramona and it's definitely showing in the honey production. It's fascinating to me that two seemingly identical hives, in the same environment, are performing so differently. I'm curious to see how the rest of the season will play out.